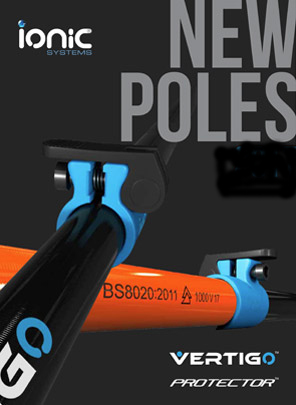 Our brochure pack has details of our full range of systems and poles, including detailed specifications. Removed to and from any Van in just a Couple of Minutes. 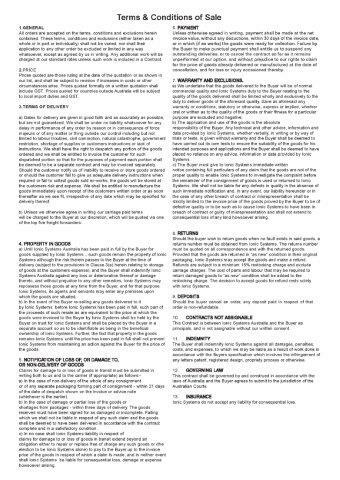 Portage data sheet. Product variations and options within the range. 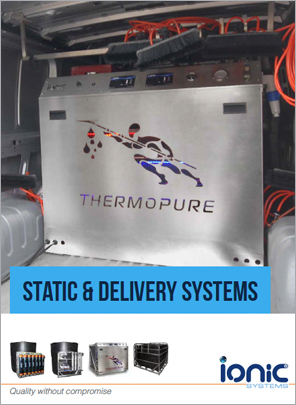 Van Mounted Systems that Cost Less, with all the safety features that Ionic Systems are know for. 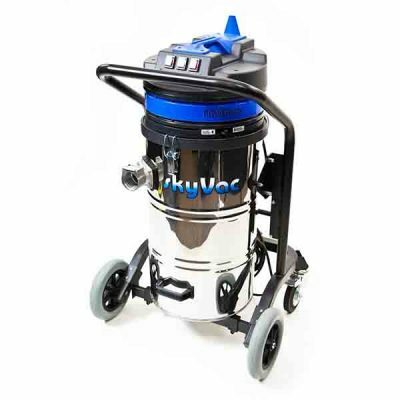 Gutter Vacuum and High Dusting and Vacuum Equipment from SkyVac. Made by SpinaClean. 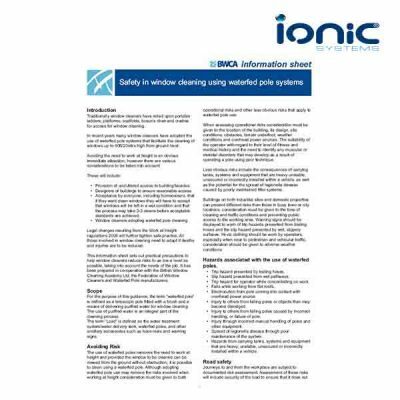 2017 is The Reach & Wash® Systems 20th anniversary so this year is Ionic’s year of the pole. 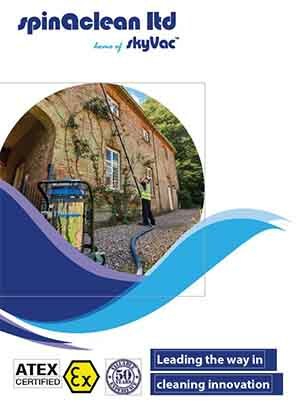 Our brochure pack has details of our full range of systems and poles, including detailed specifications. Complete this form to receive your pack. For 2015 Ionic Systems flagship Zero™ (ppb) has undergone a complete ground up revision resulting in an impressive 10% weight reduction for improved payload capacity as well as a 100mm lower centre of gravity for improved vehicle handling. The V4™ truck-mount has undergone a complete ground up revision resulting in an impressive 10% weight reduction for improved payload capacity as well as a 100mm lower centre of gravity for improved vehicle handling. For businesses that have (or plan to have) several window cleaning vehicles on the road, a fleet solution will be the right choice. 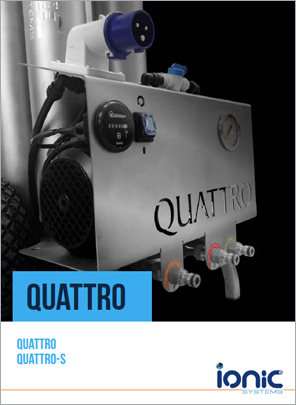 The Quattro™ is the best point of use system for a wide variety of Window, Solar Panel and Hard Surface exterior cleaning applications. 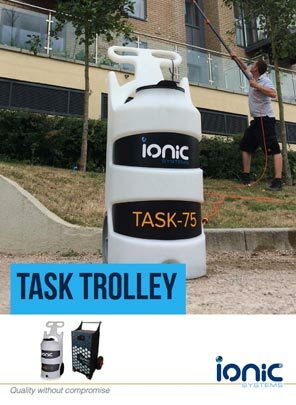 The new TASK trolley from Ionic Systems is a mobile system that’s perfect for otherwise inaccessible areas. 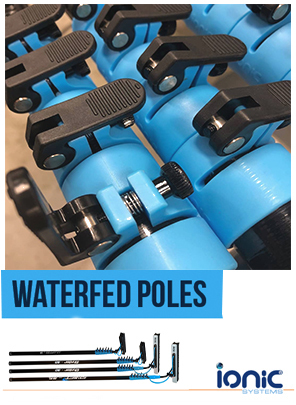 Whether you’re looking for the ideal pole for residential work, or have your sights set on 80ft commercial buildings, we have the pole for you! 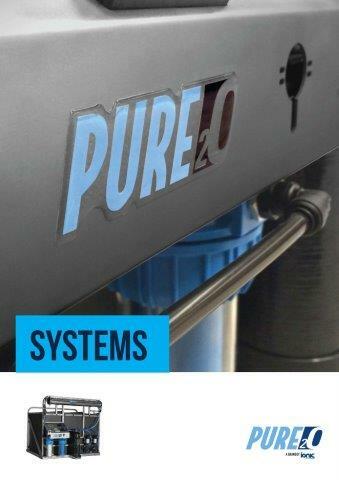 Our brochure pack has details on the Petrol Honda Gutter Vacuum system and poles, including detailed specifications. 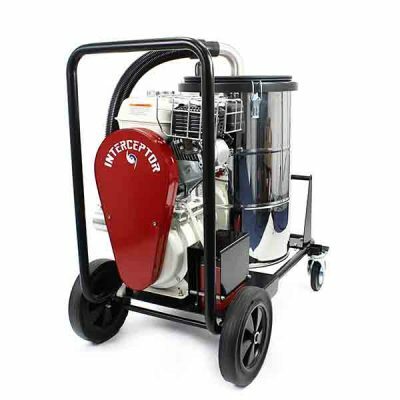 Vortex Gutter Vacuum Systems- Premium and Mid Range 240 Volt Specifications. 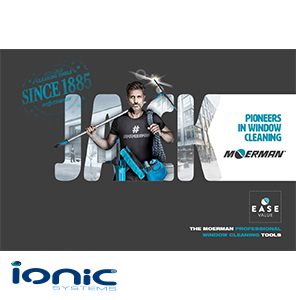 Moerman 2018 Product Catalogue- Meet Jack. Window Cleaning Hand Tools Squeegee’s and full accessories. 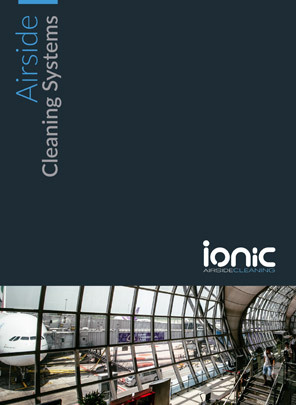 2018 and our solutions continue with an equipment range that has a vast array of applications in the aviation sector. 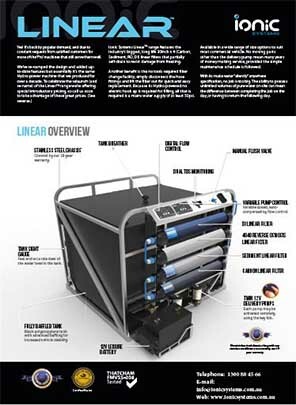 This BWCA Publication outlines the current best practice for window cleaning with waterfed pole systems. Complete this form to receive your pack (you will have the option to download a PDF version). 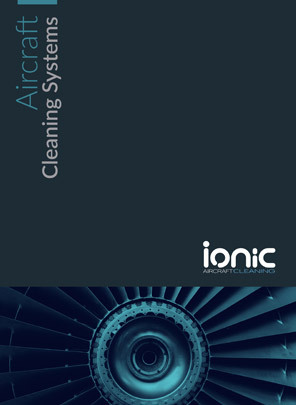 I've been using Ionic's hot water Thermopure for four years now, it's especially faster on first cleans. 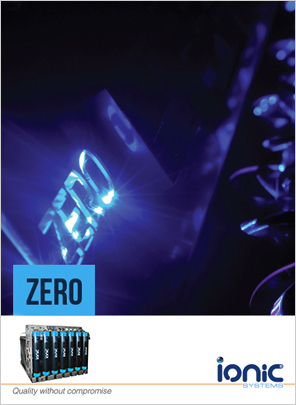 Hot systems are more expensive than cold but I wouldn't be without it, especially in the colder months. 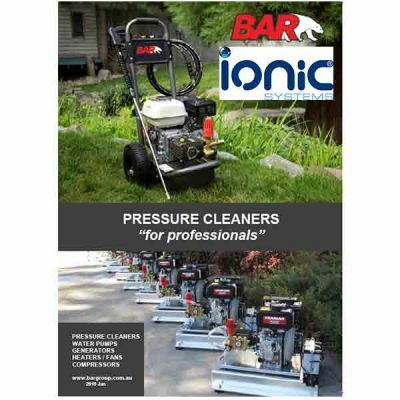 Realm Property Services can't thank Gordon at Ionic systems enough - His product knowledge and customer service is second to none. 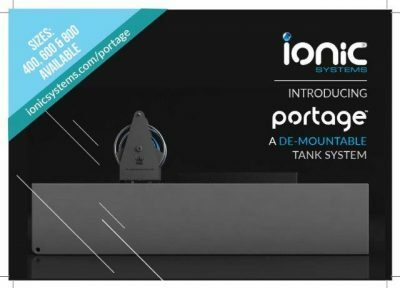 I'd highly recommend Ionic Systems Australia and their products to anybody in the industry.